The aim of this prospective study was to compare the accuracy of clinical examination and magnetic resonance imaging (MRI) versus arthroscopic findings and to determine the value of an experienced examiner in clinical decision making. A total of 30 patients with a preoperative MRI underwent arthroscopy over a 5-month period. All patients had a clinical examination performed by an experienced knee surgeon, a specialist in general orthopedics, a senior resident, and a fourth-year resident. These examiners recorded and evaluated the results of seven tests: the medial and lateral joint line tenderness test, the McMurray test, the Apley test, the Stienmann I test, the Payr’s test, Childress’ sign, and the Ege’s test. The injury was classified as a meniscal tear if there were two positive tests. Clinical history, physical examination, and MRI findings were compared with the arthroscopic findings. The accuracy, sensitivity, specificity, positive predictive value (PPV), and negative predictive value (NPV) of these methods of evaluation were then calculated. Clinical examination performed by an experienced knee surgeon had better specificity (90% vs. 60%), positive predictive value (95% vs. 83%), negative predictive value (90% vs. 86%), and diagnostic accuracy (93% vs. 83%) than MRI for medial meniscal tears. These parameters showed only a marginal difference in lateral meniscal tears. 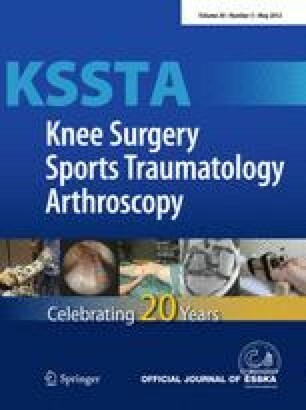 The experienced knee surgeon had better sensitivity, specificity, predictive values, and diagnostic accuracy parameters for medial meniscus tears in comparison with the other three examiners. These results indicate that clinical examination by an experienced examiner using multiple meniscus tests is sufficient for a diagnosis of a meniscal tear. The study was approved by the ethical committee of Haseki Training and Research Hospital, and written informed consent was obtained from all patients.